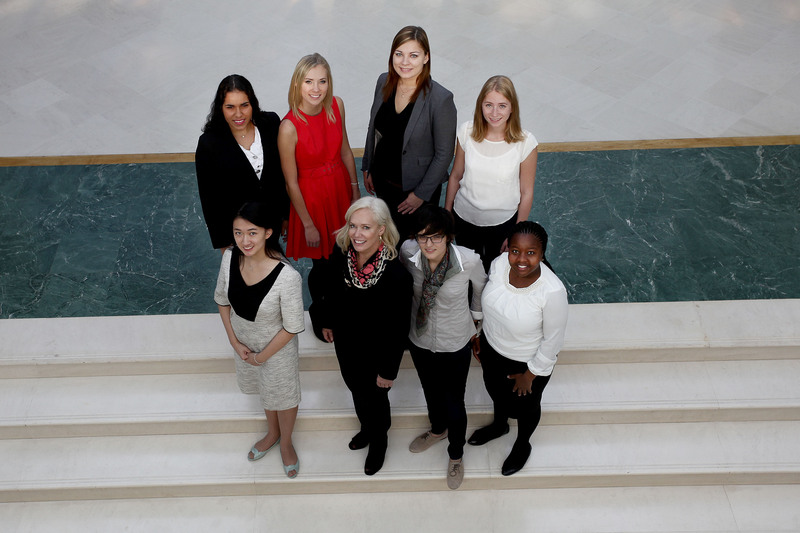 Five iL2L alum from five nations have been invited to give the youth report on the findings at the annual Women's Forum in France. This year's program's theme is competition, cooperation, and creativity. Delegates will look at open digital innovation and the role women uniquely play in this arena. The program also examines the digital effect on Europe and what the future holds. The following Gen Y report comes to you from the Women's Forum. This blog is written by Beatriz Castro, iL2L Global Ambassador from Brazil. I had an amazing opportunity to interview Ms. Andrea Menezes, CEO of Standard Bank in Brazil. With 21 years of experience in finance, Ms. Menezes was appointed CEO in April 2012. In an interview in Paris on October 15, 2013, Ms. Menezes told me about her views on women in the labor market, their competitive advantages and features that make them entrepreneurs. According to Andrea, the competitive advantage of women as leaders is that they think differently, and have different perspectives than men have; but she also highlights how important the complementary visions of both sexes are to the success of the organization, as well the need to have global expertise and specific knowledge in certain subjects. When asked about the main characteristic of an entrepreneur, Andrea introduced me to a feature which she says is present in many women: the ability to carry out various activities at once, to be multidisciplinary; in other words, they have the ability to work, take care of children, run a house, as well as to be successful businesswomen. At last year's Forum in 2012, Andrea participated in the CEO Champions, begun in 2010 for the purpose of promoting the advancement of women in the private sector, and to discuss topics such as the importance of their perspective and vision within organizations. I asked Andrea if the project would succeed in making improvements in women's leadership. Andrea tells me that the project has been helped along by McKinsey & Co., which since 2007 has provided data that show the importance of the role of women as leaders in the market. The CEO Champions has provided a valuable space for discussion of these issues and sharing of ideas among CEOs around the world, as they search for new ways to initiate change. An event like the Women's Forum is critical to help bring focus to the importance of women's leadership in the business world. It creates an awareness that helps seek equality for generations to come, and highlights what has been achieved in the search for the rights and opportunities that we enjoy today, says Andrea. Asked if she felt there were barriers to her in her career, or any kind of prejudice expressed against her as a CEO, leader and business woman, Andrea said she never felt anything like that. "Barriers exist when you put yourself in barriers; when you feel there aren't barriers, the opportunities will appear," says Andrea. Andrea said that she feels very fulfilled with the business and the daily challenges provided by her work at the Bank. She emphasized how important it is for career women to maintain a balance between their personal life and their professional life. iLive2Lead is a youth leadership-training program based in Washington, D.C., that conducts training in various nations in each region of the world. iL2L brings the most exceptional young leaders together for International Leadership Summits and works with them to develop social initiatives which they lead back in their home nations, thus creating global examples of social responsibility and a ripple effect of impact worldwide.